Summer is coming to a close. The evenings grow darker. So pack away your flip flops, hang up your beach towel, and settle in for the colder months with these fun 3D-printable projects to make at home or in your local makerspace. 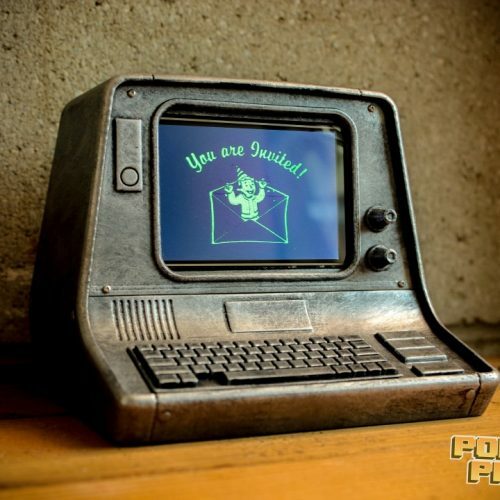 Power Up Props’ replica of the Fallout desktop terminals fits a 3.5″ screen and a Raspberry Pi 3B. Any Fallout fans out there will be pleased to know that you don’t need to raise your Science level to hack into this terminal — you’ll just need access to a 3D printer and these free files from My Mini Factory. And while you’re waiting for this to print, check out Power Up Props’ wall-mounted terminal! 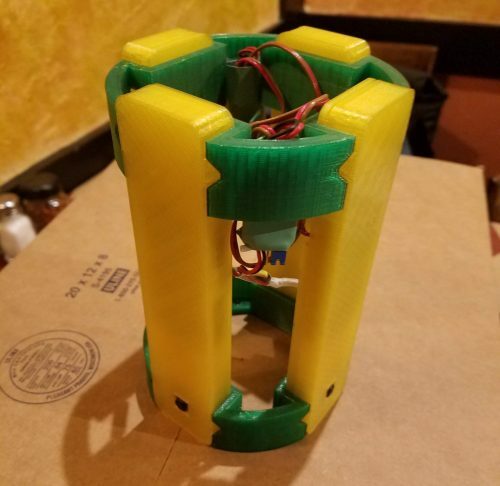 Howdy neighbors, grab some fusion cores and put on your power armor because today we’re making a working replica of the wall mounted computer “terminals” from the Fallout series, powered by a Raspberry Pi! Want one of your very own terminals? Remixing DAKINGINDANORF‘s low-poly Arduino-based design, this 3D-printable night light is a replica of the SpaceX Falcon Heavy rocket. The replica uses a Raspberry Pi Zero and a Pimoroni Unicorn pHAT to create a rather lovely rocket launch effect. Perfect for the budding space explorer in your home! You can download the files directly from Dennis Janssen’s website. 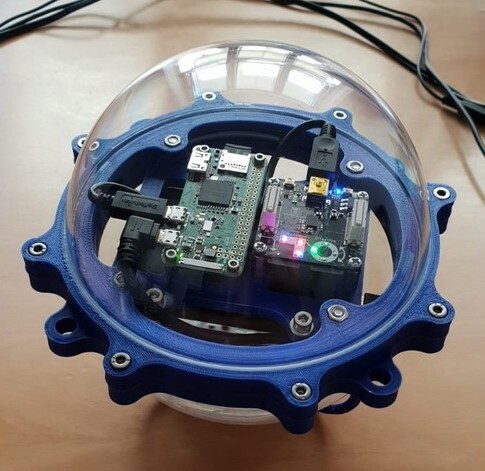 Using an acrylic Christmas bauble and 3D-printed parts, you can set your Raspberry Pi Zero W free in local bodies of water — ideal for nature watching and citizen science experiments. Channel your inner Jay Gatsby with this Art Deco-effect clock and weather display. Fitted with a Raspberry Pi Zero W and an Adafruit piTFT display, this build is ideally suited for any late-night cocktail parties you may have planned. Send four Raspberry Pi Zeros and Camera Modules into the skies with this holder design from Thingiverse user randysteck. The 3D-printable holder will keep your boards safe and sound while they simultaneously record photos or video of their airborne adventure. What projects did we miss? Share your favourite 3D-printable designs for Raspberry Pis in the comments so we can see more builds from the internet’s very best community!